Donate your car, truck, motorcycle, RV, or boat by simply completing this form and a CARS representative will reach out to you to arrange the pick-up of your vehicle at no cost to you. 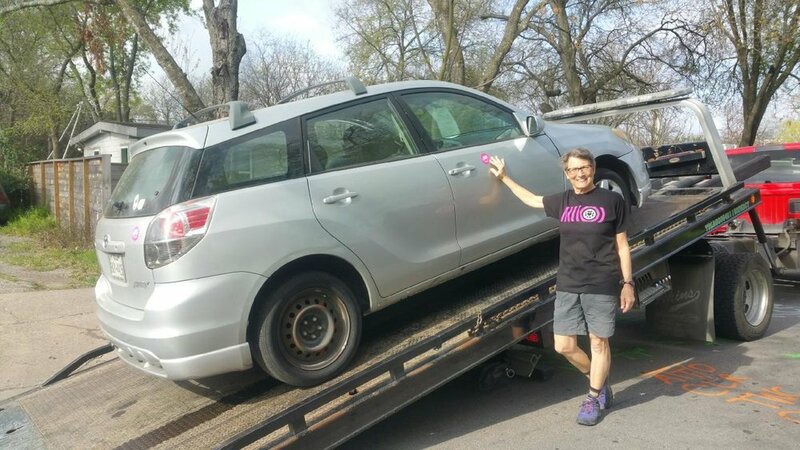 Here's how Kathleen Coyne is raising funds for Texas Mamma Jamma Ride - she donated a car! You can too! Vehicle donation pick-up is always free and most vehicles can be picked up within 24 to 72 hours. You'll receive an initial donation receipt upon pick-up and then the CARS team will work to turn your car into cash to support our fight against breast cancer. Once your vehicle is sold, CARS will provide you proper tax forms in time to file. The CARS friendly Customer Service Representatives are available 7 days a week to assist throughout the process. For more information, please visit the CARS website at https://www.careasy.org/nonprofit/Texas-Mamma-Jamma-Ride or call 855-500-RIDE (7433). Thank you for your support!